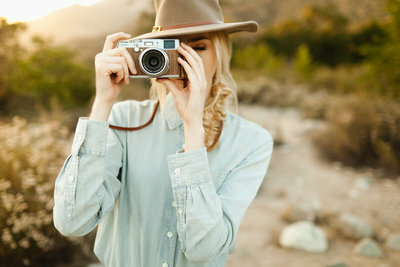 I will never forget the day Lauran and Franz emailed me about photographing their Telluride hiking elopement. I was on my way down from a hike near Boulder when my phone buzzed. 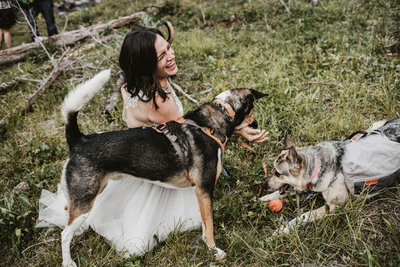 They said that they were drawn to me because I seemed like the kind of person who, if they ran into me at a party, would be on the floor playing with the dogs. And that that was important to them. 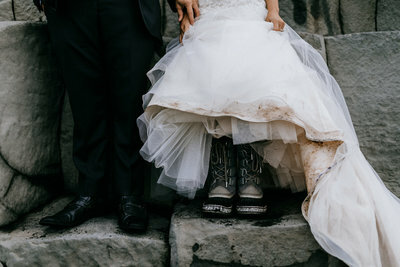 Lauran and Franz knew they wanted to elope in the San Juans near Telluride and Ouray but didn’t really know exactly where they wanted to go. After a few scouting missions we settled on a beautiful trail outside of Ridgway. My jaw literally hit the ground as I drove up the dirt road to the trailhead. I’ve lived in Colorado for over eleven years and it takes a LOT to make my jaw drop. That tells you how pretty it was! I met up with Lauran, Franz, their friends, and their pups Arya, Stannis, and Nefario near the trailhead we’d be hiking from. 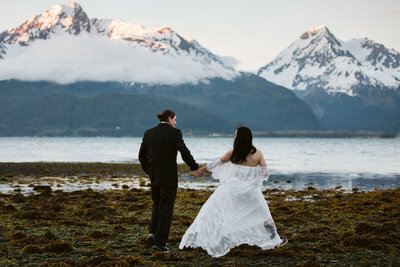 They did the sweetest first look down by the river and then said their vows surrounded by their friends (and dogs, obviously!). 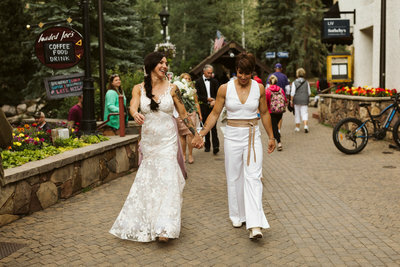 After the ceremony was over it was time to hike! 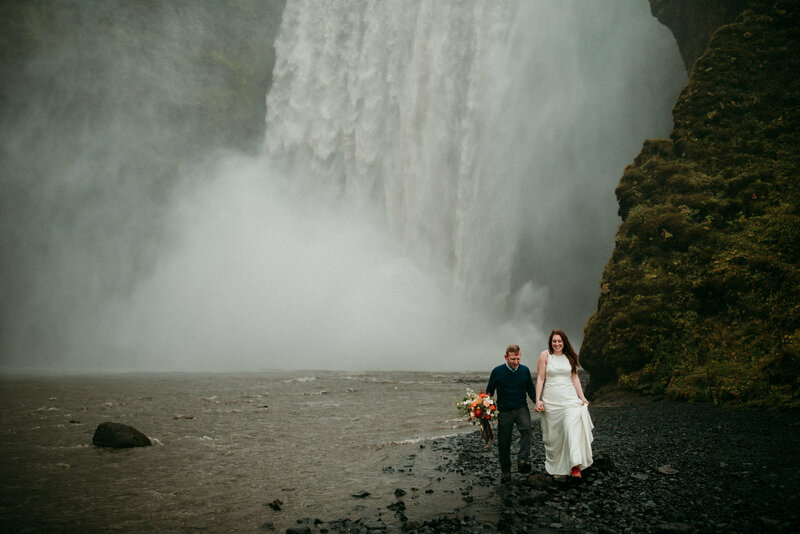 These guys did the whole six mile hike in their wedding clothes (which they said were surprisingly comfortable to hike in) so we could stop along the way for photos. Lauran and Franz had found a meadow up in the mountains where they wanted to have a picnic. Between then and their friends they schlepped a cooler full of beer and everything we needed for an epic chesse board. Franz is a chef so you know they weren’t messing around! After we stuffed our faces with charcuterie we continued up the trail and found a waterfall that we didn’t even know was there. We decided that was a good end point and hiked back out to the trailhead in the dark. 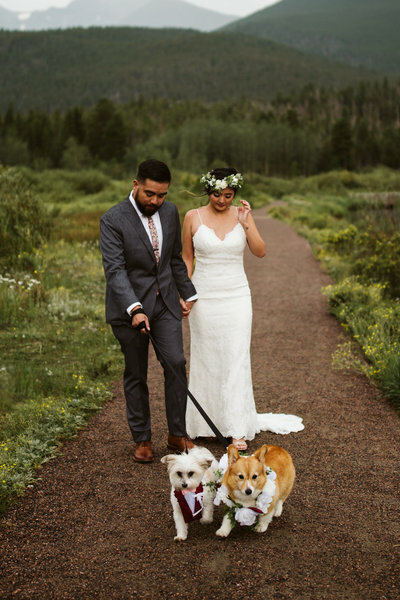 I absolutely love how these two incorporated what was most important to them – their dogs, the mountains, food, and friends – and had their perfect laid back wedding day. 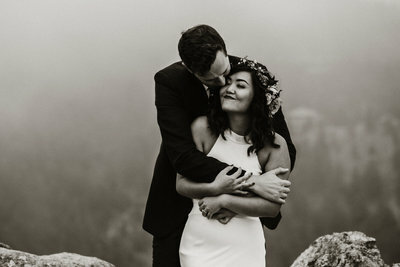 Here are some shots from their Colorado adventure elopement. Enjoy! 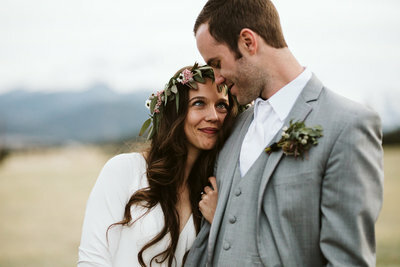 I had such a great time with these guys in one of the most beautiful areas of the state and I’m SO excited to head back down that way next summer for another Colorado hiking elopement from the same trailhead (but to a very different location!). Thanks to Lauran, Franz, Stan, Arya, Nefario, and all their friends for such a fun day at the office!